Tecnoinox participates to the Milan Design Week in the context of Food & Drink design, thanks to the partnership with Proud of Pro, the NOlab Academy project. The company will be present with Tap, the digital oven dedicated to catering professionals, available for the cooking classes, organized in the Milan Crafts District. The Italian company specialized since 1984 in the production of professional cooking appliances, brings its Tap oven to the Food Lab, in the two versions dedicated respectively to gastronomy and pastry. The Proud of Pro project includes the “Come and Taste” event, which until April 13 organizes an Open Lab with pastry lessons and a final tasting, under the guidance of the Pastry Designer Fabio Nazzari, who will use the Tap oven for his creations. This model, launched in 2016 by Tecnoinox, is an easy and intuitive cooking solution, which ensures practicality and efficiency in the organization of work. 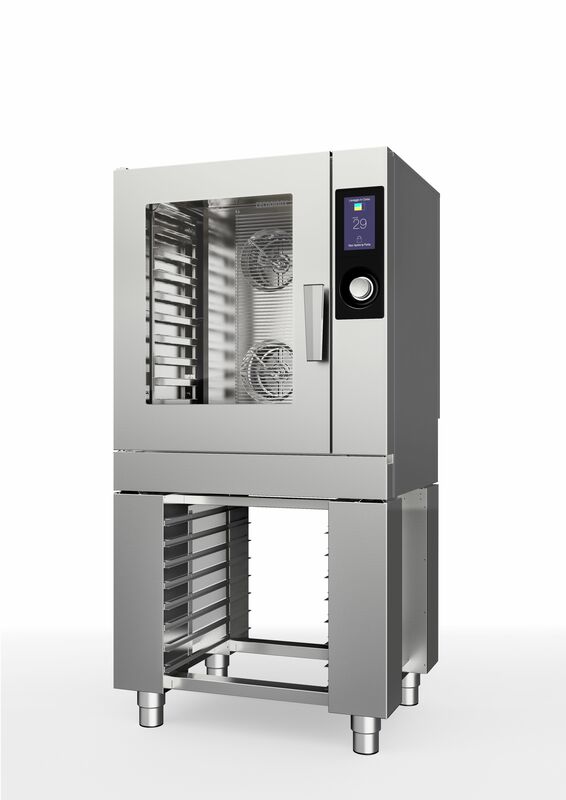 It is a combined professional model available in different capacity versions, from 4 to 20 trays and in the two “gastronomy” versions (with and without boiler, and “pastry”. Equipped with touch screen display, it helps the chef to manage the preparations in a functional way, thanks to automated cooking solutions and control systems. Cared also in the aesthetics details, the Tap design was created in collaboration with the internationally renowned design, Marc Sadler.